Get revved up and get ready to race! 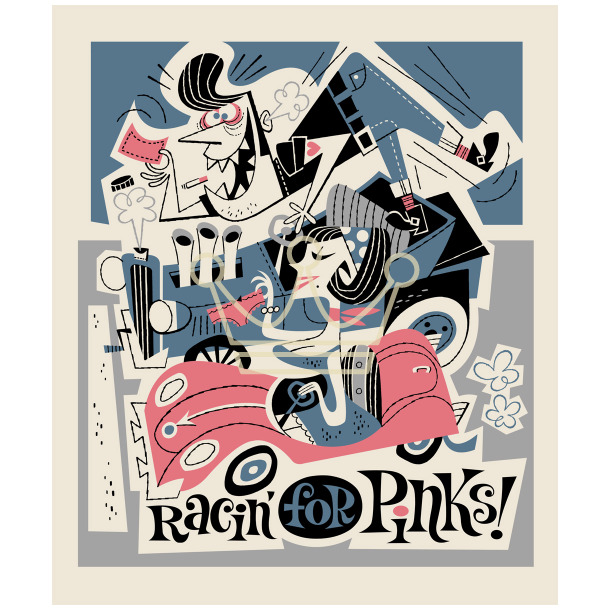 Racin' for Pinks will get your motor running hot created by our own Derek Yaniger! 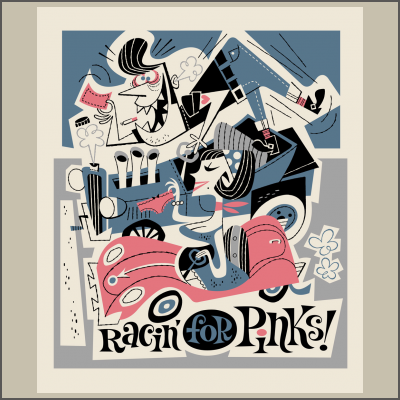 This collectable three color silk screened serigraph is printed on heavyweight archival paper and measures 16" x 18.5" all signed and numbered by the artist in a limited edition of 80.